So the trunk of your tree or shrub is covered in crusty green stuff – don’t panic! It’s unlikely that this ‘green stuff’ is harming the tree. What you are observing is the growth of lichen on the bark. Lichens are non-parasitic organisms that consist of a partnership between a fungus and a green alga or cyanobacterium. The fungus collects water and minerals from the air and substrate and the alga/bacterium contributes photosynthates and other nutrients. The lichen itself grows on the surface of the organism or object (trees, rocks, dead wood, grave stones, etc.) without causing any harm or negative impact to its host. When people see a tree trunk completely covered in lichen they often wonder if the lichen is affecting the health of the tree, especially if the canopy looks thin. 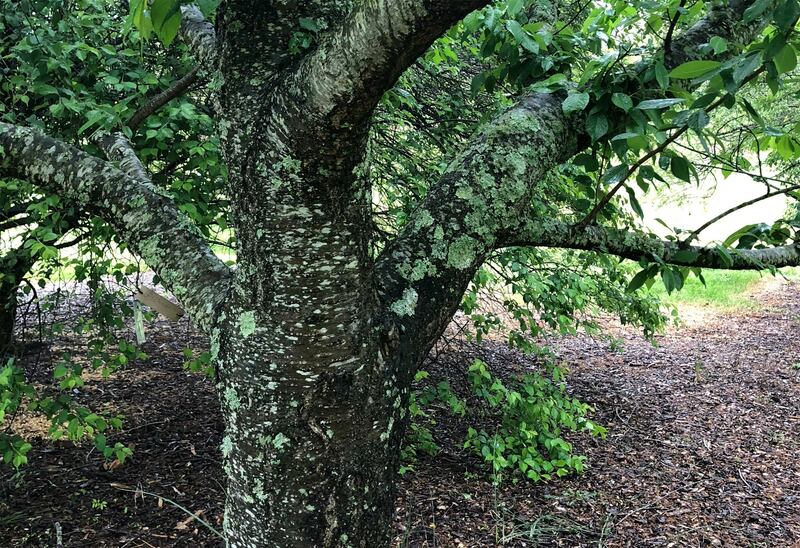 In reality, lichens grow best in sunny spots with good air quality, so that’s why they will grow more abundantly on tree trunks exposed to light. If a tree is declining or has a thin canopy, more sunlight will reach the trunk and make it an attractive area for lichen growth. Photograph of lichens growing on tree bark. 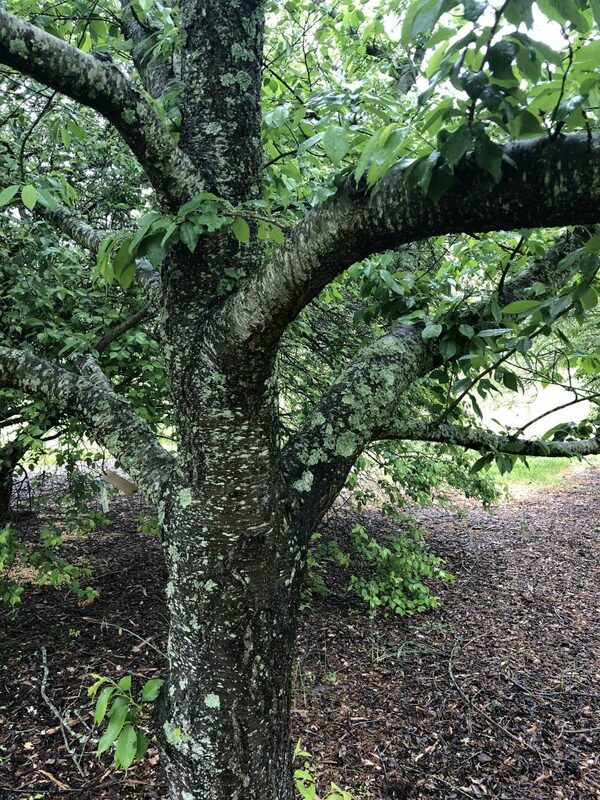 If you do have a tree or shrub with excessive lichen growth and a thin canopy, evaluate the tree and the surrounding environment for stress, disease and insect problems that may need to be corrected to improve tree health. Stress in particular can come from environmental and cultural problems such as compacted soil or soil moisture/nutrient issues. Soil care and root invigoration may help improve tree and shrub health in this case.